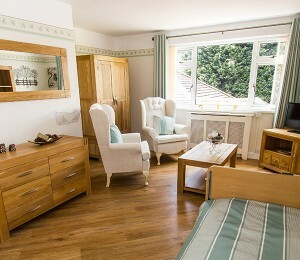 Cossins House Care Home overlooks the countryside of Cobham. The home provides residential, respite, and palliative care. The home has large, beautiful grounds where pheasants, deer and a range of other wildlife can be seen. Cossin House features en-suite rooms as well as cottages on-site for those requiring a greater level of independence and the lounge comes complete with a piano to entertain residents. A varied daily menu is prepared by chefs on-site, offering tasty, nutritious food for residents, normally eaten in the communal dining room but available in private if preferred, while special diets can be catered for. The activities co-ordinator prepares an events schedule, with input from residents and families taken into account. The care home's programme of activities focuses on the mind, body and soul to improve well-being, and a range of complementary therapies can be organised.